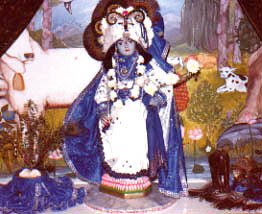 "Krsna, Who is known as Govinda, is the Supreme Personality of Godhead. He has an eternal blissful spiritual body. He is the origin of all. He has no other origin and He is the prime cause of all causes." * We beg to announce that Kartamasayi from Montreal has since departed from this world.